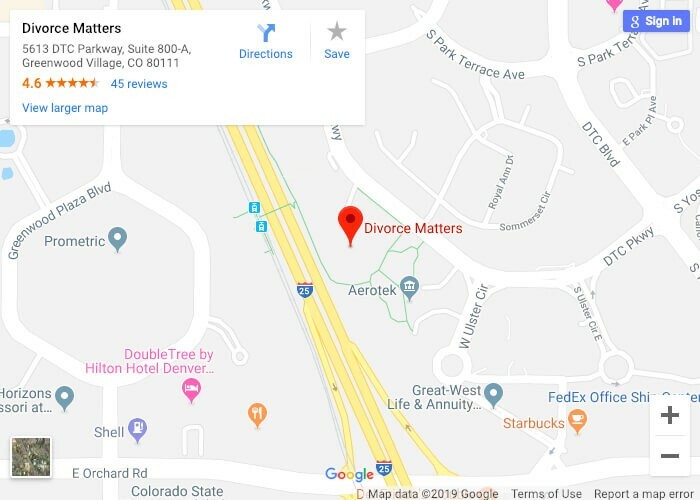 Divorce Matters® is a Colorado-proud family law firm with a team of experienced divorce lawyers in Denver dedicated to protecting our clients’ best interests. We’re also mothers, fathers, cohabitants, and divorcees ourselves, so we’re intimately familiar with the range of emotions, piles of paperwork, and deluge of decisions that crop up when you seek legal help to resolve a family issue. Whether you’re pondering a divorce, drafting a prenuptial agreement, or welcoming a new member into your family, we’ll help you take control of the situation and prepare you—financially, emotionally, and logistically—for the future.